Since they seem to put cameras out almost yearly, it's possible that in the future there will be one that releases next year even since they recently seem to be consolidating a lot of their camera models. Or possibly they go an entirely different direction and build around one of the new Sony Sensors that Kinefinity and DJI seem to be using these days. This would allow them to shrink their camera smaller, and have better low light performance, but likely at the cost of a little dynamic range. My guess is that BMD will build on the URSA Mini and its sensor and will improve that design further. For a hypothetical UMP MKII I could realistically see a further improved sensor with maybe 6 dB less noise, an option to do in-camera NR, higher frame rates like 120fps in full raster and 240fps windowed, slightly improved DR of ~ +1 stop, improved calibration methods, an improved debayering algorithm with better anti-aliasing and moire suppression. I could imagine a slightly redesigned camera body with the bigger LCD of the UM46k, with more brightness for better in the sunshine readability, some tweaks for buttons and switches alignment, a function wise more useful side handle grip, maybe additional support for the next generation of CFast: CFexpress (v1.0 ... 1970 MB/s up to 7880 MB/s). Maybe a bigger internal buffer for a few seconds of pre-cache-recording and a few seconds of highspeed fps in burst mode. They are certainly trying to get global shutter working with the next gen - but who knows. And of course some further refining of the camera firmware. That would be my prediction for their next camera. I don't see them working on a 8k version yet as that wouldn't make much sense at the moment (in my opinion). That could be in the MKIII then. I think it might be a min 4k+ or a bigger camera with better resolution then 4.6k (maybe even 8k). That sounds about right to me. 120fps full raster, and 240fps window. I don't see them using CFexpress unless they do dual c-fast and a single CFexpress card as they're probably outrageously priced right now and the tech is brand new. I don't think SD card slots are necessary any more because CFast prices have dropped low enough, and the V90 SD cards aren't any cheaper than CFast. I think noise is one area they can likely improve without doing a complete redesign and possibly 1 extra stop of dynamic range like you mentioned. I think they might use some of the new carbon fiber materials in certain body panels which will cut down weight. One thing that will be unusual is almost every previous Blackmagic camera has been a significant change from their previous models, and because the PRO is already so good and fixed a lot of issues people had with the older cams, it seems hard to tell what they will next. I'm thinking that if BM has good luck with the BMPCC4K and is happy with the image quality we could see more BM cameras with Sony sensors, and maybe continuous auto focus. A lighter refined ursa mini pro with better low light capabilities, back up recording in camera but I doubt that'd be the next camera. Probably a revised micro camera as that didn't really land as a very good crash/ drone camera. I don't think Blackmagic will ever compete in the drone industry. DJI is well ahead of everyone else with the x7 camera and quadcopter combo. It's amazing. I think micro 4K might be the newest option, or a smaller or lighter ursa mini pro with slight refinements. It's pretty hard to imagine a newer Ursa Mini Pro mark II because every BM cam is a significant departure from a previous cam. This one would have to have significant feature upgrades. If they do like the sony sensors, I could see them building more cams with them. Their fairchild sensor performance is amazing and makes their cams unique to other low-cost cinema cameras. If they go with Sony will it have the same DR or performance in mixed lighting conditions? It will definitely have better low light which will appeal to a wider audience, but it will be less "cinematic." Autofocus would be nice, but it's pretty hard to make and probably very expensive. It would be best to license an existing technology or acquire someone who already does it. BMPCC4K Pro. with ND-filters inside. Sorry for my English, I only study it yet. Savannah Miller wrote: Autofocus would be nice, but it's pretty hard to make and probably very expensive. It would be best to license an existing technology or acquire someone who already does it. It can't be that expensive or difficult. It's becoming quite common. Auto focus, not so hard anymore, but a good fast working continuous autofocus thst tracks the subject is much harder, and at this point Canin is the leader here, with its long time autofocus experience on their still cameras. Continuous AF adds additional sensors to the camera, and the lricessing circuits to run it. You a,so need fast readout sensors to work with AF to get it responsive enough. Nikon did an good job of still AF, with no lag time on its small Nikon 1 (1-inch sensor) Line, which used a sensor simuto the Pocket Camera, with a large buffer thst could hold 60-90 frames, allowing the sensor to dump images quickly. Using one, was like using a motor driven rangefinder film camera, shoot, no EVF image blackout, and keep shooting as fast as you could pull the trigger. Denny, you might be surprised at how good Sony is getting at continuous auto focus. Thanks, I have heard they were getting better. I haven’t used a Sony camera for several years, since I sold the lot. Not sure but I believe Olympus also has some really good phase detect CAF during video mode. But either way it doesn't sound cheap or at least seems like more time/money than Blackmagic would be willing to invest. I think they might be able to license from someone who does it well (olympus) but not sure the cost and whether Blackmagic prefers not to license anything (other than prores of course). Sony is good but they are still well behind canon. No doubt they're exploring large format. Every company is going in that direction. Savannah Miller wrote: Sony is good but they are still well behind canon. But after that, I personally would like to see a 6k full frame; a parallel to the Sony VENICE, but with BMD color science. 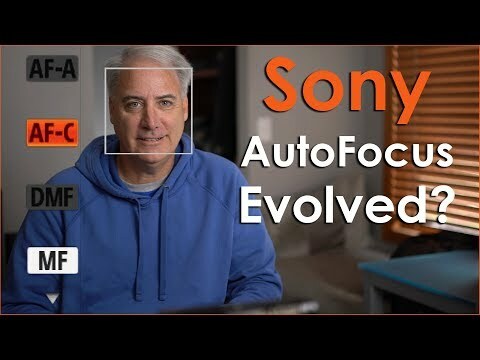 I can only say that my Sony A7RII is doing a pretty good job with it‘s eye tracking. I had to do an interview with one of those guys who keep moving back and forth while talking. This time I had no assistant and pro gear around, just one sound person. So I decided to slap on my 55mm f1.8 and let the camera track, I think at medium refocus speed. I was impressed how well it did as long as one eye was identifiable. The algorithm must be quite predictive, hardly any hunting or overshooting. Highest speed setting even looked too perfect, second position more like a human operator. So, for run-n-gun I’d say BM still has some homework to do, the UM46P is a great camera, but an ENG camera it is not. The face detect CAF of canon is MUCH better in low light and mixed lighting shots. It's also generally more reliable when something crosses in front of the face (hands, etc.) and is overall more reliable to use. But sony is still very good. I find it more interesting that camera manufacturers like Sony are selling cinema cameras like the Venice at that price range without the capabilities of their photography sensors. Sure it might not be useful all the time but surely when you're paying that much you should expect the lot. I can easily see why BM wouldn't want to dive into auto focus but it is an amazingly useful tool to the demographic that buys black magic cameras, specifically one that may not have the budget for an assistant. High ISO and Continuous Autofocus are the key things that if Blackmagic could crack, they would steal tons of sales from Canon Cinema Cameras. Blackmagic already gives you way more professional features than everyone else in the sub $10K market and in my opinion the best image too. What would be tricky is do they build a new camera out of the same Sony sensors that Kinefinity and DJI are using (at a slight reduction in dynamic range and maybe color) for an increase in low light performance and smaller cooling requirements (meaning smaller and lighter cameras) or do they just improve the noise performance of the fairchild sensors? Savannah Miller wrote: The face detect CAF of canon is MUCH better in low light and mixed lighting shots. It's also generally more reliable when something crosses in front of the face (hands, etc.) and is overall more reliable to use. But sony is still very good. Hmmmm, can't CAF in low light? Not reliable when face is obstructed? You do realize that lately, if a Sony camera doesn't have a feature you want, just wait a few months. 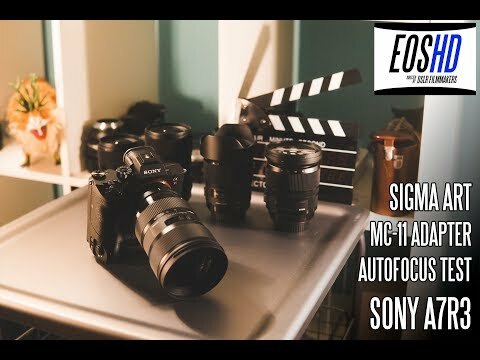 There was a Matti Haapoja video and he was testing the NEW A7III and the video was good, and then there was a hilarious moment at the end where he was talking about how the camera worked very well and he had no issues with missing shots or focus being off. During that time it's late at night and the focus is completely hunting and just very wrong. It's so ironic considering all the good things he was saying while it's happening. There still is a noticeable gap between canon and the other brands although there are other manufacturers (sony, olympus, etc.) that do have usable autofocus. Even the new firmware upgrades for GH5 look pretty damn good for a contrast detect autofocus system. The real question of all of this thread is will blackmagic continue using dual-gain fairchild sensors (with great dynamic range and color) or will they switch to Sony sensors which may not be as good in that area but more superior in noise and cooling requirements. If the built an Ursa Mini Pro out of the same sensor as the DJI x7 and the Mavo 6K it could be made significantly smaller while still maintaining similar specs in terms frame rates and resolution. You guys. You realise the term you get what you pay for? The upper market would like you to think that, but align features according to market segments, and extra layers, so that the price raises quickly. So, eventually you may pay 5 times or more what you could pay. To fleece you of hard earned money. That's why I am here. The over fleecing gave a number of companies like BM a chance to start out. I'm more like the Chinese supermarket model, sell it low overhead, in volume, and keep them happy, and then its hard for competition to start up. Dominant players use this to crush upstart competition. But these small companies are in the goldilocks zone, where if the big companies offer real value to crush, the lower price affects market completion and evaporates the delusion of the price layering system, making it hard to go back. If I was devious that way, I would likely have done it anyway. The issue is that the rest of the market has to compete to keep the large assembly capacity moving, then afterwards have to try to move up (happening at the moment in some ranges since the phones) but people fontbwant yo price high against the competition. So, now they are acting like the reality doesn't really exist, while inevitably either the cheap industry implodes (maybe from selling to too many people, leaving too little demand) or the big companies dwindle, or they go through to the next level which the cheap companies can't compete with. So, given the layering strategy above, the market segments have to be respected even in your own products. So you aren't going to sell up market sensors for more expensive cameras, and introduce those features low market too. However, any competitor I'd welcome to, who doesn't want to pksy the game. Do you really think that Panasonic couldn't have put a 8k Red lite inside the gh5. Overlapping DCT based Raw would have been a simple way of doing it. We are living in a dream world, made by others, not seeing the mechanisations of others. BM has a choice to act beyond others and go the high road with better models cheaper. Let's see what happens in the next year. Savannah Miller wrote: There was a Matti Haapoja video and he was testing the NEW A7III and the video was good, and then there was a hilarious moment at the end where he was talking about how the camera worked very well and he had no issues with missing shots or focus being off. Yeah, I saw that video. He said that it was literally pitch black when he shot that. He was surprised that it found focus at all. As you may know, Sony cameras usually have very high ISOs, so an apples to apples comparison would be to run a canon side by side with the same settings. But up in that range of ISO, canon can't go. So yes, you are right, the cameras are not comparable. In my opinion they will introduce double ISO and 120fps in full raster. In one to three months Sony may release the a7s3. That camera is expected to continuous auto focus as well or better than the a7r3/a73 and have at least double the ISO of the a73, and it might have 4:2:2 10 bit on its HDMI out. It will most likely shoot UHD 60fps. It might even have internal ND filters. The thing is, eventually the sensor on the a7s3 will be available for companies like BM to buy and use on their products. I don't expect BM to adopt Sony sensors unless they think they can get the image quality that is their hallmark. So the BMPCC4K is their experiment to see if they can do just that. I hope it works out because it would open up a whole new world to BM to make smaller, lighter and more power efficient cameras with great image quality and great features at a great price. 4K 60fps on the A7s3? I highly doubt it. The current sensor readout on that cam is like 35ms or something ridiculous, and you need around 16ms to sustain 60fps full sensor readout. If they can improve the rolling shutter by half, it would be a miracle. The sony cameras already have overheating issues, so I doubt they can add much more. But maybe they can improve the autofocus a bit. One of the problems with Blackmagic right now is they have some of the best image quality of any camera under $10K, but they use similar tech to Arri which is not always what prosumers want. They don't need big, heavy cameras, and they want higher ISO performance. But for where it counts, Blackmagic delivers more than others on the image. Sony might be a slight step backwards in some areas but a huge improvement in others. So the issue is: do they sacrifice a little bit of image for better low light and size/weight? But if they make a new ursa mini pro with a different sensor, all of the sudden the c200 looks even more attractive for the prosumer market. Savannah Miller wrote: 4K 60fps on the A7s3? I highly doubt it. The current sensor readout on that cam is like 35ms or something ridiculous, and you need around 16ms to sustain 60fps full sensor readout. If they can improve the rolling shutter by half, it would be a miracle. If panasonic can take a Sony sensor and do it, then I don't see why Sony can't do it. I don't know what's gonna be in the a7s3, but if Sony wishes to compete they've got to do at least as well as a Panasonic camera using Sony's very own sensor. As for overheating, each generation has gotten better, and there are relatively easy workarounds to achieve unlimited recording with no overheating on existing generations. I expect the a7s3 to be even better given that it is expected to use a larger body and battery, which should give it better passive cooling characteristics. Whatever you may think about BM's choice of sensor, they appear to running a Sony sensor experiment as we post with the PCC4K. If you don't like the direction they are going, then by all means don't buy a BM camera. I DO like blackmagic's choice of sensor. But I'm wondering if they'll stick with it in the future. It's not that it's a bad choice, it's that you gain so many things and give up a little less. So the question is does Blackmagic continue to prioritize DR and Image quality, or do they get a good enough look out of the Sony sensors that they continue to use those? I think the full frame sensor might be harder to run at 60fps, but not sure if that's true. What do you mean by full frame? The new BMPCC has MFT. I don’t think Sony makes a FF sensor in the appropriate price range that’s capable of 60 fps. Even RS may be horrible, if you look at the A7 line. Let’s hope that at least it won’t have the ugly cyan highlights with certain blue LED sources. I was referring to the A7 series being Full frame as the reason the cannot do 60fps. I think Sony is doing UHD 60p on the Venice, which is a full frame sensor. They have a history of moving some of their high end tech to some of their low end cameras. And it is the kind of move sony would do but probably at 8 bit even though they could probably do it at more bits. They might give us UHD 4k 30p at 10bit. Just because Sony is out there, doesn't mean you can just buy whatever you want from them. Also, if you are looking at sensors.l with minimum lots of sale over 10x what you want to buy, you may not get it. Anyway, don't judge on what has gone before about what can be done in the future concerning still advancing technology. If Toshiba could do it for Nokia (I have a link to some chatter that indicates Sony has access to the Toshiba technology apparently used in the Nokia 8k phone, and an interview that seems to indicate that the fullhd video was not from binned pixels, which means likely am 8kp30 read). So there we go, amf old 41mp doing on a phone, without over heating. Wow, who would think that, those who read these things and know these things have not met their lits, and don't go around hassling people that things can't be true, that can. Gene, see my above reply. Sony will do what they want in the market. Now, I'm still yet to find out what sensor that Fran 8k camera uses. I'm thinking I might use it as a still camera. Here is an 8kp30 sensor. It uses a high 3 watts of power. I imagine that Nokia used a lot less than that. So, how much does the 4.6k use, or this Sony. I calculate the Nvidia chipset might be able to do 8k cineform at 10 watts just on the arm processors. However, using a raw codec aimed at professionals designed for the GPU, this might be 1-2 watts. A full asic version might be a lot less again (how much I don't know, but my processor design should be under 1 watt, and the asic design less than that. Using my processing techniques on the asic should be less again, let's say maybe 100mw. However, using next gen computing technologies, <1mw might be possible. But using the stuff I'm pursuing, a lot less again. I'm also looking into new sensor tech aimed at magnitudes less energy consumption. Wayne Steven wrote: Just because Sony is out there, doesn't mean you can just buy whatever you want from them. Also, if you are looking at sensors.l with minimum lots of sale over 10x what you want to buy, you may not get it. I understand that, however over time what was once cutting edge becomes generally available. The Sony sensor group is independent of the camera group and their business model is to sell sensors to anyone that will pay the price. Also given the purported millions BM has spent on the 4.6k sensor I can't image whatever minimums that Sony would impose would even come close. It isn't so far away. Sony has stated they ate getting a year lead on best sensor tech on their products. But I'm more saying that sales of somewhere from 10k-100k may not even give you access. If you do get access, it may be at a much much higher price. But I'm not saying any company could strategically block access to products, we simply don't know what happens. I remember in a car magazine years ago, about a secretive car summit held every year, that the reporter said was where they decide which car companies got which models, etc. Anyway Gene, I was more answering your question as to why? I've done some calculations on the size of pixel needed to for better quality. The sensor pad size of s enormous. To be sure on a 16 bit pixel you are talking more than 16 bit x the wavelength of light. 8 bit would be 256+ times the wavelength (red) in each dimension. What kind of volume does Kinefinity sell? They seem to not be that big, yet they easily get Sony sensors for their cams, and for all we know they might even be using a custom CFA too. They are a fairly small camera team yet they make it look easy how quickly they can get working prototypes of their cameras. Maybe it's just they are more aggressive than Blackmagic at putting out an unfinished product. To be fair to both Kinefinity and BM, AFAICT, all Kinefinity does is cinema cameras whereas BM has a fairly large array of different markets and produces both hardware and software. Kinefinity does show the advantage of concentration. And given the huge number of contract electronics companies in China, I doubt that they do their own PCB assemblies and may not do their own integration. Whereas BM does all the electronics assembly and system integrations. BM has a lot of balls in the air, and that divides their attention. Deals. Who you know. When you started. I wouldn't be surprised that being Chinese they have a lot of loyalty sales and exposure there. Given the early entry and the Chinese country concentration, it would not surprise me at that stage they got in. As far as why BM didn't get access to Sony or Aptina sensors for bigger cameras earlier at the latter date, you'll have to discuss it with somebody, like I did. I'm sure even I could set up a deal with Sony for a sensor, if I didn't ask for too much and it would hurt their small competitors, which I'm willing to do. FWIW, the supposed confirmed rumors are that the Sony a7s3 sensor will do 4k hdr and 4k 60p. Don't know if at the same time. I've heard unconfirmed rumors, and could very well be wild speculation, that it will have global shutter. Given that global shutter appears to be jinxed, I wouldn't hold my breath. I’m too old to be patiently waiting for one of the established camera players to do the right thing. I had to wait decades for Canon to make a printer (G4200) that didn’t drink ink like a tourist at Ocktoberfest! To see the same thing happening to a cinema camera in my life is even more unlikely than being struck by lightning twice. Last edited by rick.lang on Sat Jul 07, 2018 4:04 am, edited 1 time in total. The thinking is that in order for Sony to crush it's enemies (GH5), and see them flee (Canon) and hear the lamentations (Nikon), Sony will have 10 bit 4:2:2 internal recording on the a7s3. Which is OK for immediate replay of HDR, but a bit tight for color grading. You wont ever see Sony put up a full frame 10bit mirrorless. Only place your getting that is from a Sony cinema camera. Sony just doesn't need to as there's no full frame competition. M43 is full of competition because Sony sells those sensors but keeps their full frame. I did hear the rumors of 60p and 10-bit as well. Canon did make claims that the difference between 10-bit and 8-bit codecs is very minimal, and while it's probably to make them look good, maybe there is some truth to that. If the camera shoots 8-bit log you can you still output to HDR?